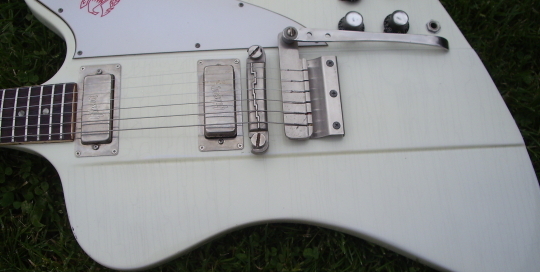 This is a 1963 Firebird 3 that needed some serious route repair before it got a aged Polaris White nitro finish. 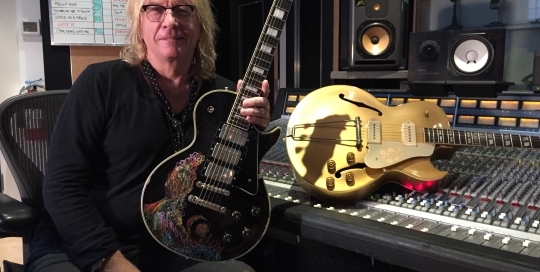 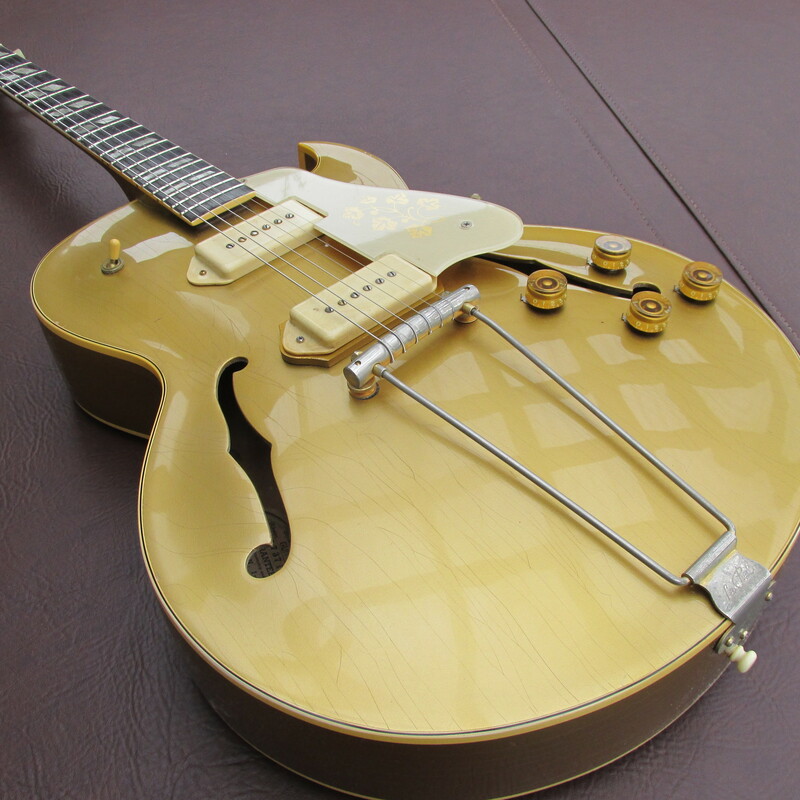 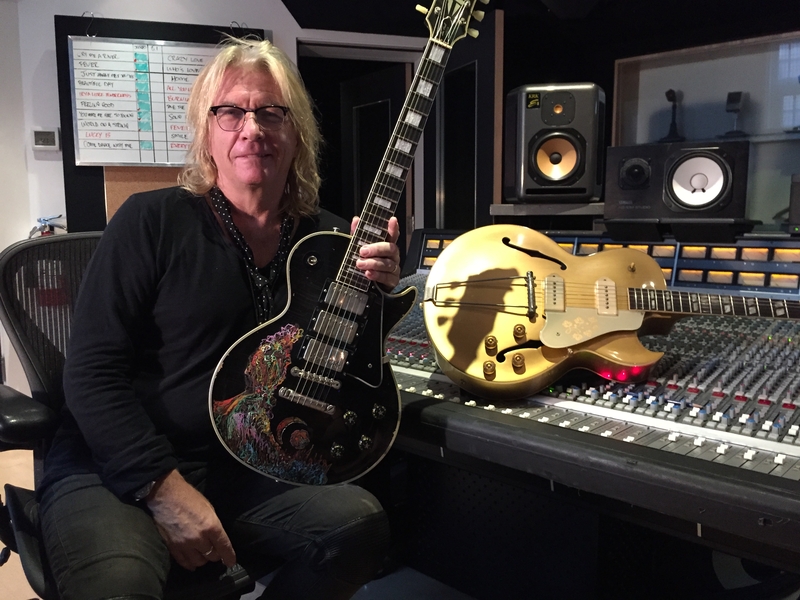 A cool mid 50s ES 295 we did an aged goldtop finish on for producer Bob Rock. 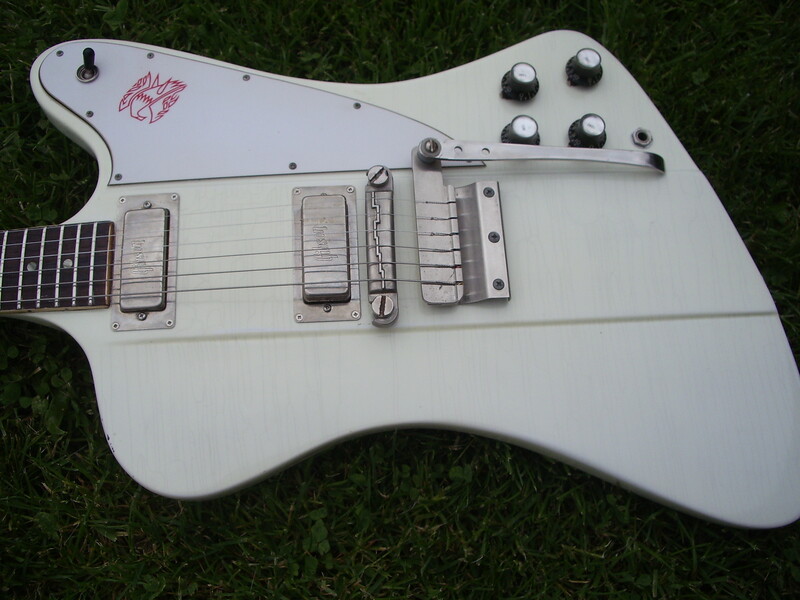 These are one of my all time favorite guitars. 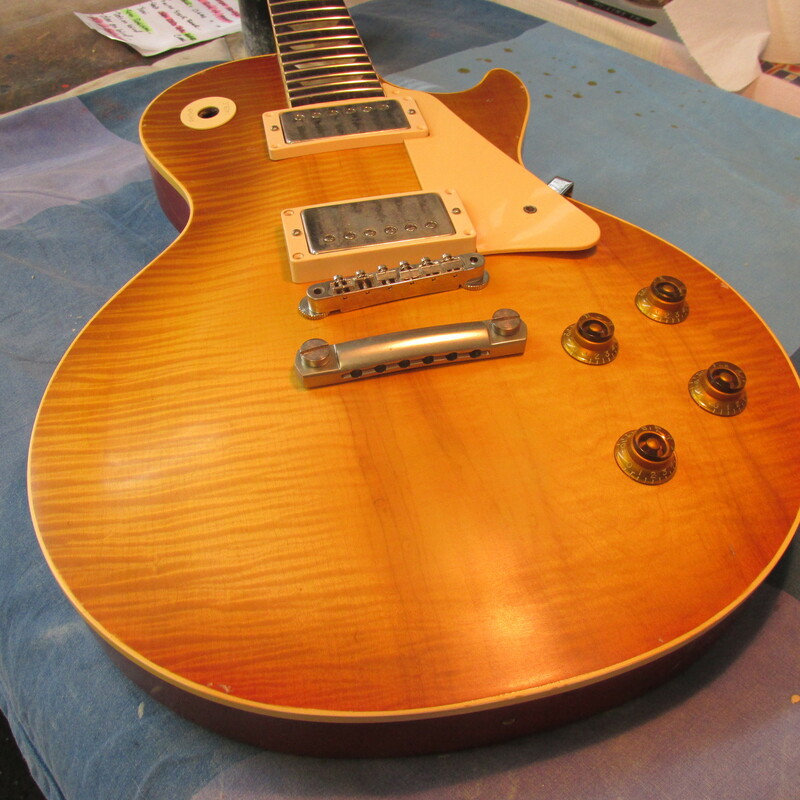 This was without a doubt the most difficult repair job I have ever been asked to do. 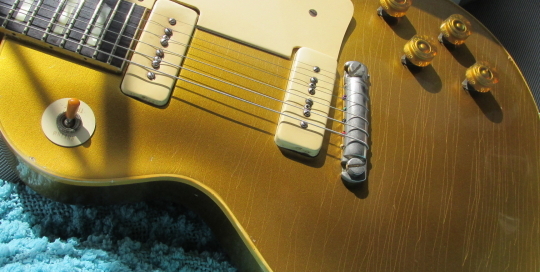 This poor early 50s goldtop had a beautiful flame top but had been routed for a Hagstrom vibrato …in addition the bridge area had been chiseled out to accommodate a full height ABR1 bridge. 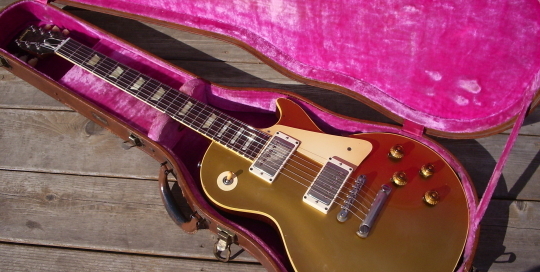 Here is a great guitar… a very early 1953 wrap goldtop that left the factory as an all gold model. 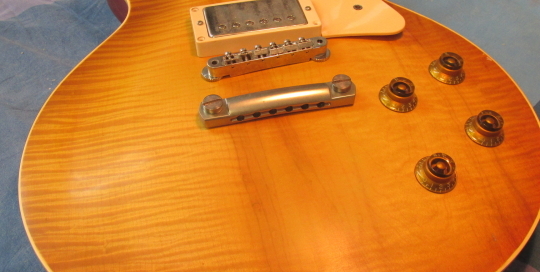 Luckily the original finish was in the control cavities and I matched my finish to that. 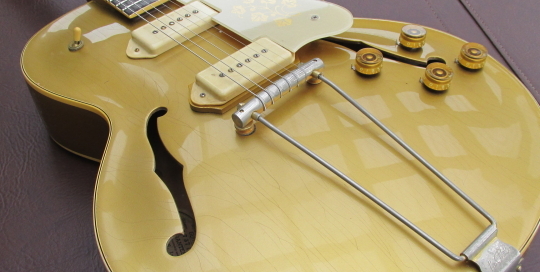 This guitar is very lightweight and features the seldom seen thin ear wrap tailpiece. 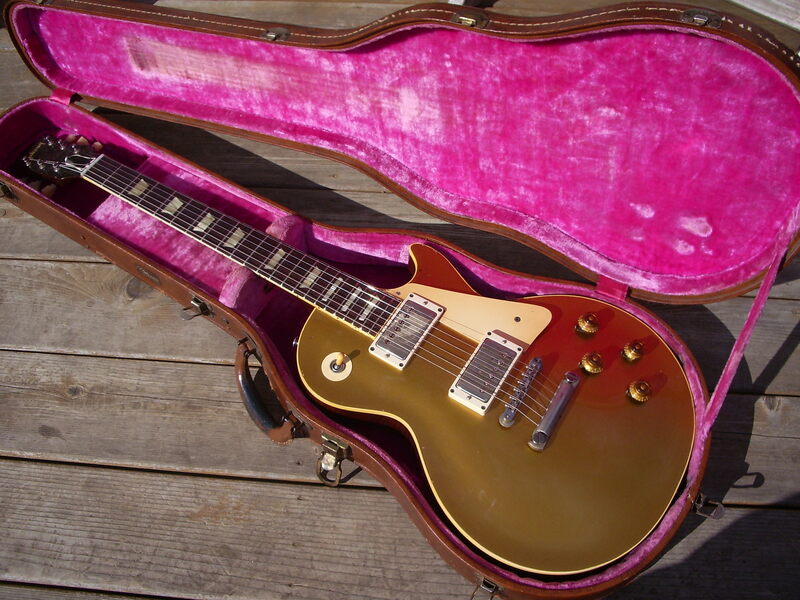 Here is a great looking darkback 57 goldtop we just completed. 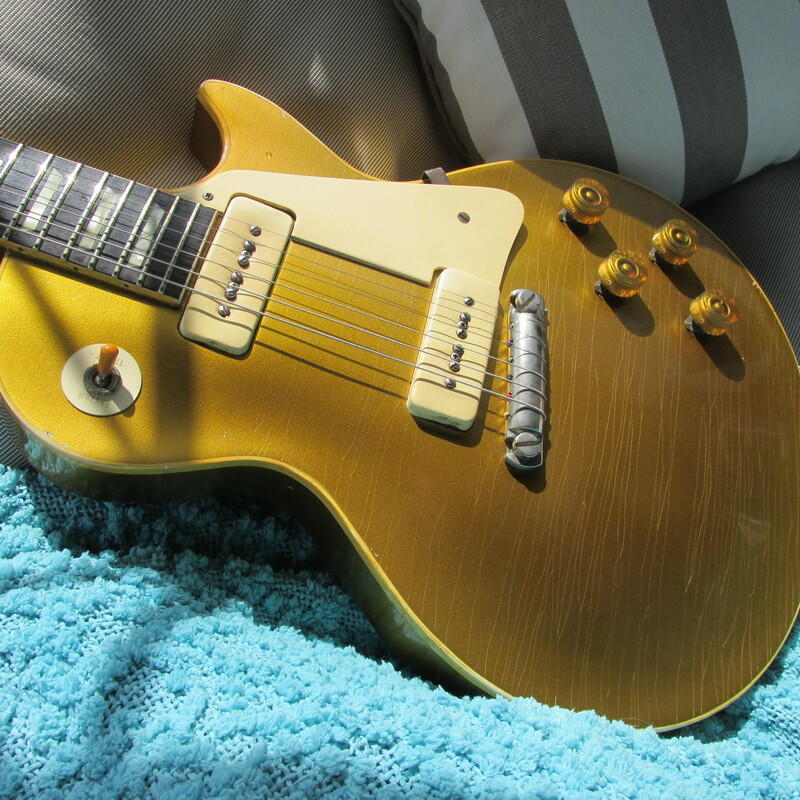 This one has less checking than we normally do and an appropriate yellow stamped serial number.